In the month of April, I chose to skip 3 planned sessions in the first-two weeks as I was preparing for Decathlon Anniversary Run, 10K (D’War). My previous best 10K was in 48:31 minutes (in 2015) and this time around I was looking forward to set a new Personal Record (PR) and was hoping to cross the finish line in < 48 minutes at a goal pace of ~ 04:48 mins/km. 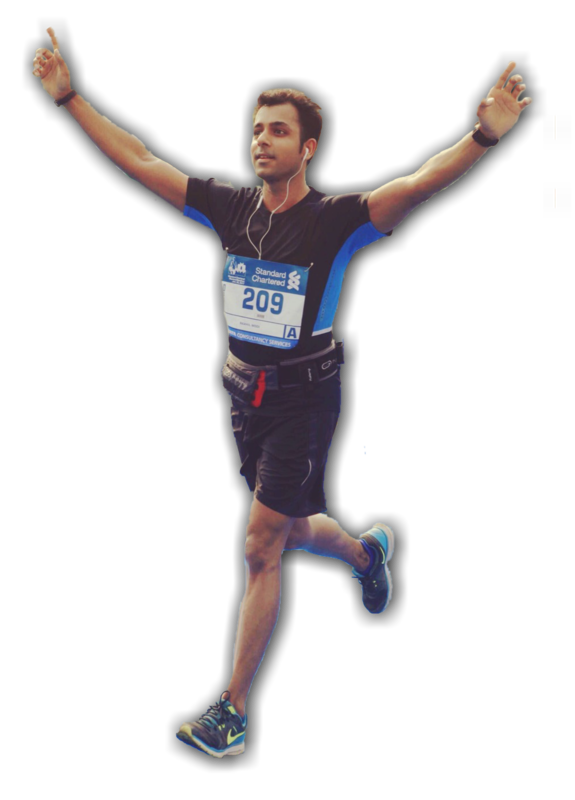 On 9th April, 2017 I beat my 10K PR at D’War 2017 in 46:41 minutes at a pace of 04:41 mins/km and ranked 14th out of 245 runners. It was an exciting route, a very good race and above all, nothing beats seeing sunrise while you were on your way to cross the finish line. The rest of the month I sincerely followed my “thrice a week” (phase 1) schedule of General Aerobic (GAs), Lactate Threshold (LTs) and Recovery runs. One of the highlights this month apart from breaking my PR in 10K was that my last run for the month ended at the Gateway of India, Mumbai followed by a 1000m of pool swimming at a nearby club.